“Teacher slowly slowly !” Says Ahmad, while with a white coat and a syringe in his hand he intervenes on an old vine trunk. With him, Ayman is drawing the relief and Bashar is weighing a solvent on a scale. They are just some of the workers who work on the restoration of an ancient oil press on the site of the Crusader monastery in Bethany, next to the Tomb of Lazarus. 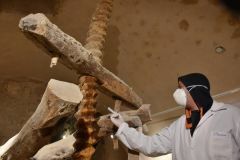 The activity is part of one of the different restoration modules provided by the Interdisciplinary training in conservation of cultural heritge project, a collaboration between the Jericho Mosaic Center, the City of Turin, the Conservation and Restoration Center of the Venaria Royal Palace, thanks to the support of Association pro Terra Sancta. 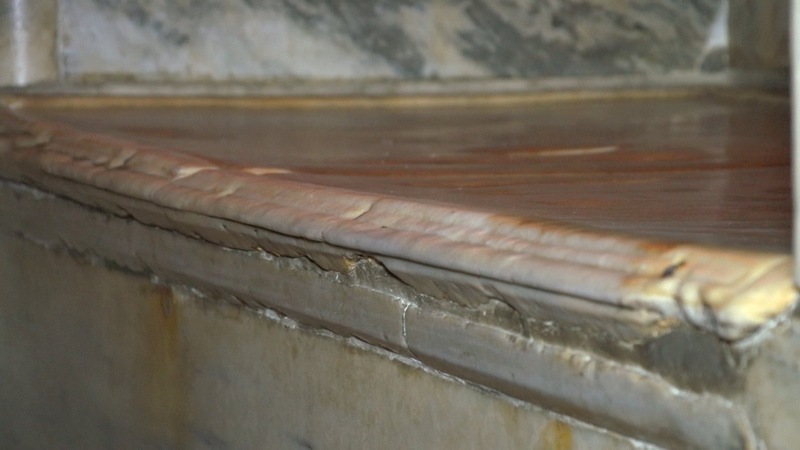 The project, in fact, thanks to the presence of a team of restoration experts, has the objective of ensuring a real, practical and high level training on different aspects of the restoration. “Even more, the interest and curiosity were total when the boys first studied some organic forms directly at a microscope! Many of them had never seen it before! 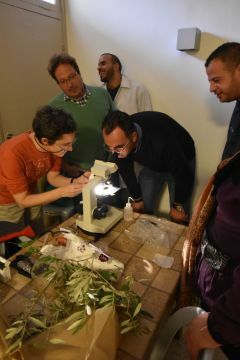 “Says the biologist Enrica Matteucci (University of Turin):” I was amazed – continues the expert – the curiosity of three girls when one morning while studying a sample of mold on the walls have me asked with an interest never seen what it was and what I did “. 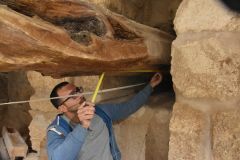 The project, started in September, had already seen the participation of the students on the documentation and analysis of archaeological data according to international standards (Giorgio di Gangi, Chiara Maria Lebole), the restoration of frescoes (Alessandra Marengo), the study, the composition of the stones, the degradation, their consolidation (Stefania Dimarcello), the study and the chemical and biological analysis of the mosses and lichens that are formed on the walls of the site and on the finds and cleaning methods. If in the next few months the Mosaic Center students will learn to refine other restoration techniques on the mosaic and on other materials already studied, “today they already know how to recognize the age of a wall and understand some processes of deterioration and intervention” arch. Najati Fitiani comments. During the courses he helps to overcome the linguistic wall between Italian, English and Arabic. 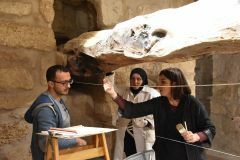 “We work here next to the Tomb of Lazarus, which for Christians is a place of hope – concludes the young archaeologist Ayman – thus learning to rebuild our past we will learn to build our own future. Support our project in Bethany!